With the end of the school year quickly approaching, we know many districts are caught in a flurry of activity, with tasks to complete before summer. Sending out your Reasonable Assurance letters to next years’ subs may be on your checklist. 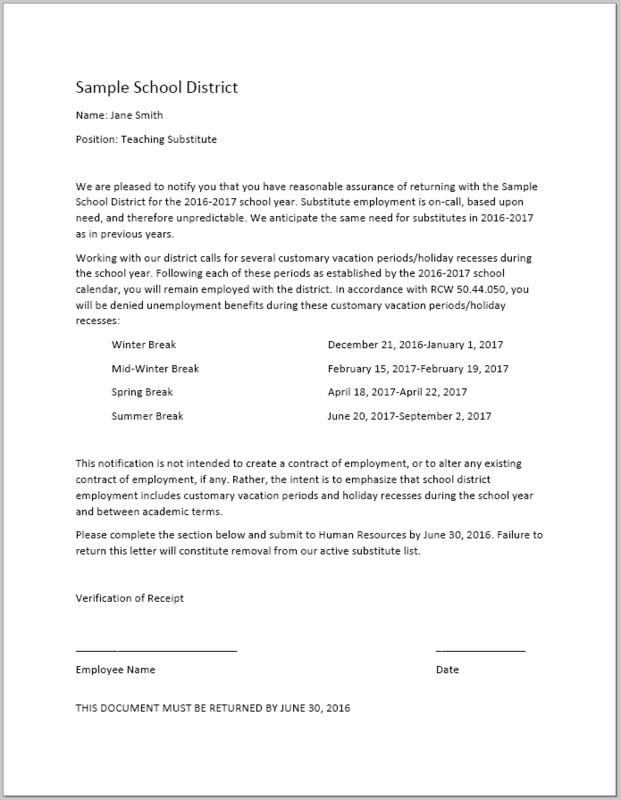 The link provided shows an example with suggestions that limit the district’s liability during scheduled holiday breaks. Feel free to contact Elisabeth Heerema with any other unemployment-related questions.